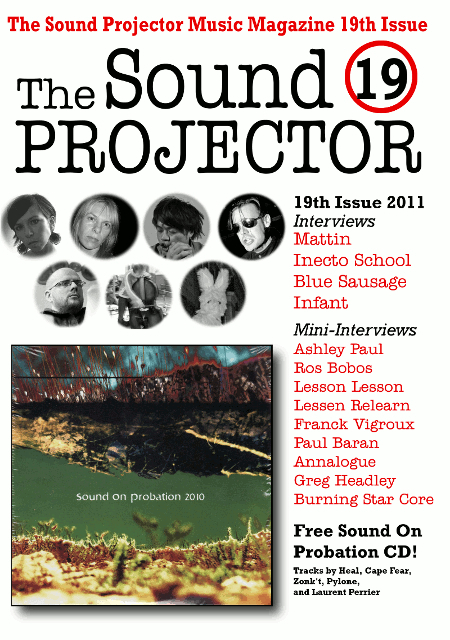 The 2011 issue of The Sound Projector magazine is now available. 190 pages of record and CD reviews, interviews and even a free cover-mount CD. This time round I’ve contributed reviews of recent albums by Unfolk/Kevin Hewick, Chris Connelly, Nicola Ratti, Cardinal, Olivier Girouard, Rational Academy, St. Just Vigilantes, Viviane Houle and Roshi feat. Pars Radio. You can read all about it here. And you can buy it here or, if you prefer the edition without the free CD, here.